Manage community recreation events from the palm of your hand. 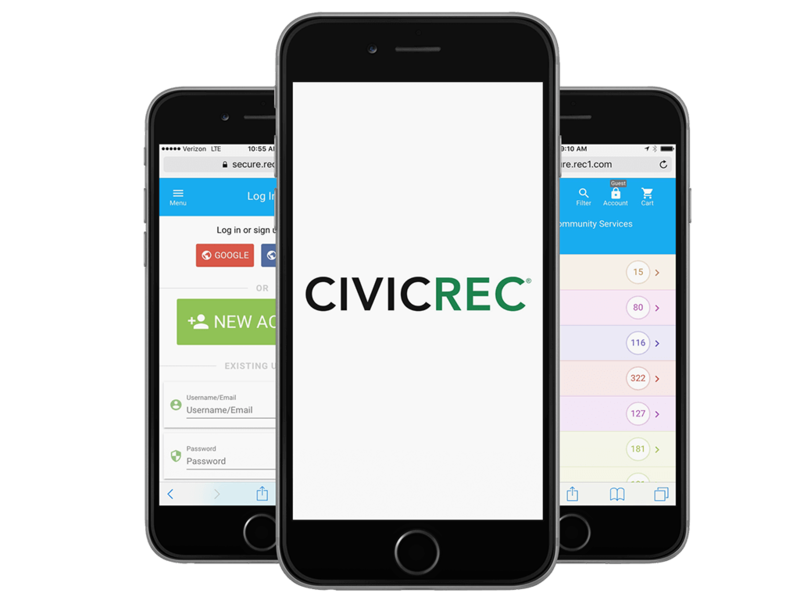 CivicRec provides an unmatched mobile experience for local government parks and recreation departments. Administrators and their citizens may access CivicRec on a mobile phone or tablet at any time, allowing for access to league, event, and resource information when out in the community. Our mobile-responsive recreation software never requires an app installation or inconvenient software update, and offers all of the same robust features as the desktop version, including social sign-on, program registrations, facility rentals, receipts, and permits. In the parks and recreation community, it’s important to gain feedback and insight from citizens to ensure your community is meeting their needs. 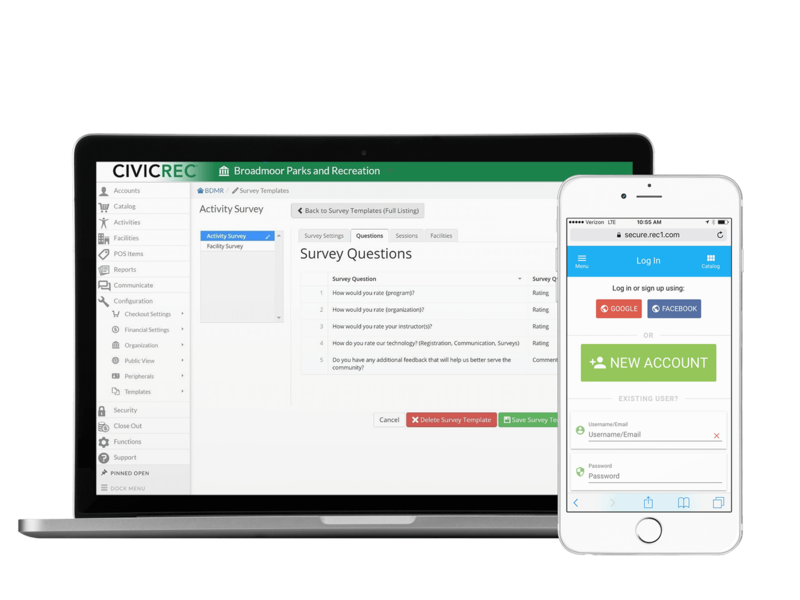 Easily send surveys with CivicRec after an activity or rental to gain valuable citizen feedback. Need to report data to your civic leadership? Advanced access, control, and customization of reports is at your fingertips with CivicRec. Simply print, export, email, save, and automate reports from within the system at any time. Based on our experience working with local government parks and recreation departments, CivicRec offers over 100 predefined, frequently used reports for convenient access. Such reports include: transaction, general ledger, and roster reports. Completely customizable filters and report fields can also be saved for future use. After creating a report, quickly email it to key stakeholders, export it to Microsoft Excel, or create a PDF. Save time each month by auto-scheduling reports for email delivery to any email address at any time. Keep citizens engaged with automatic alerts. Set up text or email reminders the day before a class, alert citizens of weather cancellations, and more. There’s a template for that! 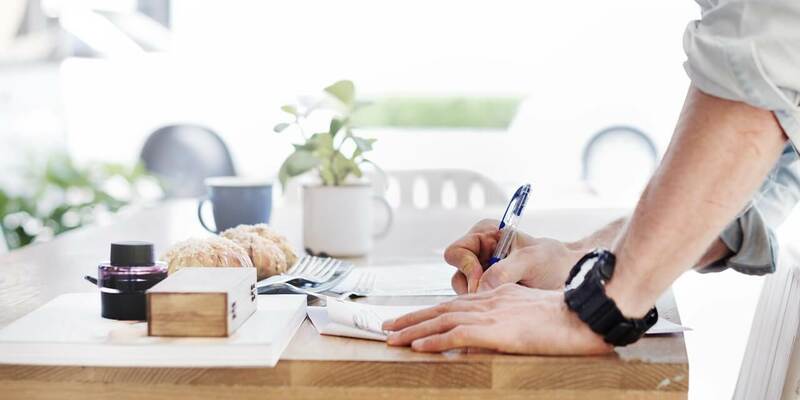 From receipts, to membership cards, to permits, there’s a fully customizable and professional template to ensure communications are professional and consistent with your branding. Forms, waivers, add-ons, discounts, residencies, and scholarships are all components that you can conveniently manage. Developed specifically for local government parks and recreation departments, CivicRec is the all-in-one rec software solution that offers you convenient, flexible, end-to-end recreation management capabilities.